Today is Day 2 of the 2017 International Association of Chiefs of Police (IACP) Conference. 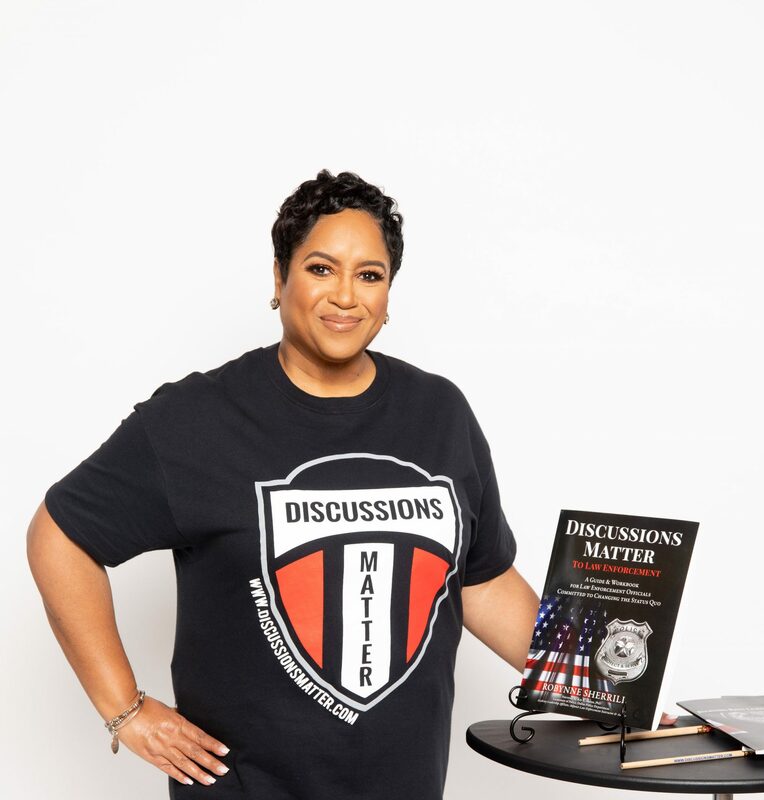 The conference is the official debut of Discussions Matter to Law Enforcement: A Guide and Workbook for Law Enforcement Officials Committed to Changing the Status Quo. It has truly been a great opportunity to speak to so many law enforcement officers, and validate that the Topics of Discussions Matter are aligned with needs they’ve expressed are important to their own agencies. Several ordered copies to socialize for broader opportunities back ‘home’ when they return from travels, others already committed to facilitating discussions using the materials, and some have requested time to continue conversations with me beyond the conference and stay connected. All of which I am grateful to have had the exposure to Discussions Matter. Discussions Matter is a toolkit of resources (Participant Workbook, Facilitator Guide, Train-the-Trainer FREE eLearning for Facilitators, and more) designed to provide a simple and effective format for discussions – internal to law enforcement agencies. There are many community-policing programs that have been created, but not very many focus on discussions that occur internally to develop higher levels of self awareness, agency awareness, relationship awareness, community awareness and change agility, in a safe space – and at an affordable cost. There are no hidden costs and the format is flexible enough to use for any topic requiring discussion. The content is facilitated by a leader of law enforcement or academy instructor, and the materials have been developed to support successful implementation. We were inspired by Simon Sinek’s opening on Day 1, during which he spoke about courageous leadership and developing a culture of vulnerable members (meaning they are not afraid to speak up, challenge what is wrong, and not fear retribution). Visits to the Discussions Matter Booth #963 prompted continued conversations picking up where Simon left off. Discussions Matter is greatly aligned to the opening messages. I’ve heard so many good stories this week that have been tied to WHY Discussions Matter. Tomorrow is the last day of the conference. I am looking forward to continuing relationships that have been built, supporting agencies delivering Discussions Matter, and continuing to learn!